An emergency popped up - you had to dash out of town to help slay the Sasquatch that's been terrorizing your uncle's farm... or something like that. Now you're back home, it's Wednesday and your paycheck is pretty much gone. You're late on rent, you need gas money and food and you won't get paid for another two days! What in tarnation are you going to do? 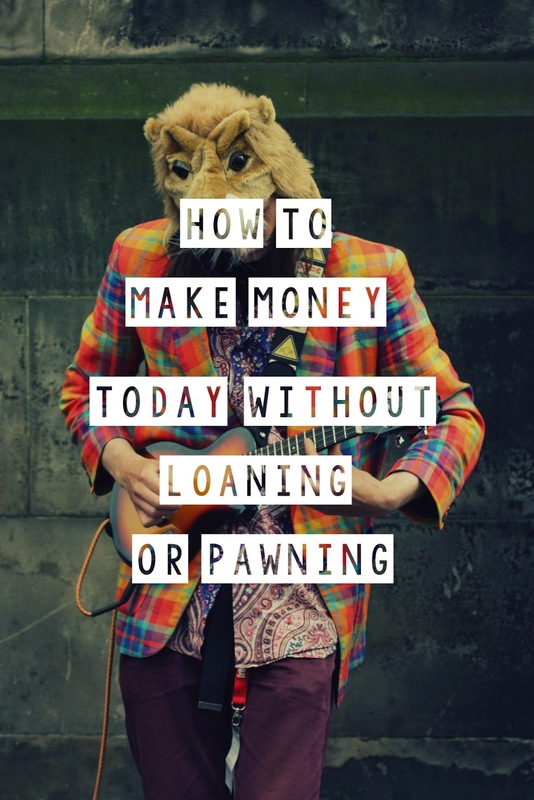 Here are a few ways you can make money TODAY! ► Join a local Facebook "swap shop" group and sell something. Over the past couple months, my husband I have made about $400 from selling odds and ends and unwanted items this way. Some items have sold within minutes of posting! Just search for groups with your Facebook search bar. ► Have an impromptu yard sale . I've totally done this before. One morning I gathered up as much stuff as I could and set up outside my home. I only made about $15 after a couple hours, but that was $15 more than what I started with. If you really want to profit from a yard sale (and if you have the time) have a sale during the weekend. NOTE: some cities require you to have a permit to hold a yard sale. Ask around or contact the city before setting up. ► Do odd jobs - babysit, yard work, walk some dogs, clean someone's house, mend some clothes, do some laundry, run errands, anything! Call around or post on Facebook or Twitter that you're open for some side work today. ►Donate Plasma - some clinics will pay you up to $35 or so for some of your plasma and you can donate twice a week. They take your blood, drain off the plasma and return the remains to your system. It takes around half an hour to an hour. To donate, you'll need to be relatively healthy and drug free. ►Collect your change - check the car, under couch cushions, coats in your closet and don't forget your old purses. You'll be surprised how much you can scrape up after a quick search! You might not be able to go to Disney World tomorrow but you'll probably be able to buy a taco or two... or three. ►Sell your clothes to Plato’s Closet - How it works (right from the site) Bring in your gently used brand name clothing and accessories. While you check out the latest styles in the store, the buyer will review your items. The buyer will create an offer based on style, condition, brand and the store's current stock levels. Once you accept the offer, you'll be on your way with some extra cash or a hot new outfit (or two)! ►Go to the pawn shop. Yeah you heard me - but to to NOT pawn. SELL! Consider selling jewelry, musical instruments, phones, cameras and other gently used electronics. ► Busk. Got a talent? Are you goooood at it? Then take it to the streets. Tap dance, play an instrument, juggle, magic, etc. Set up in a busy public space, like a park, the side walk or outside a popular coffee shop or restaurant at peak hours (lunch and dinner) and set out a tip jar. 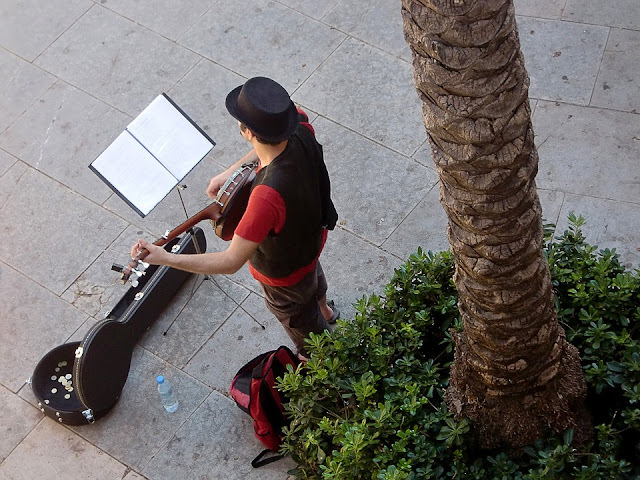 If you play an acoustic instrument well, ask the business owner if you can play inside for tips. You might just get asked to come back for a regular weekly gig. NOTE: if a business owner asks you to leave, even if it is public property - just go ahead and pack up. Arguing or getting the cops involved about your right to be there is only going to waste precious time that you could be using to make money. If you know you have a right to be there and wish to challenge a business owner's demands, then go home, do a bit of research, print off your cities laws about the matter and present it to the business owner, RESPECTFULLY!!! I've always wondered if I could make much money playing music or dancing on the streets, haha. No time for that currently, but it'd be kinda fun to even just try!